Dostoevsky, Fyodor. The Brothers Karamazov: A Novel in Four Parts With Epilogue (pp. 157-158). Farrar, Straus and Giroux. Kindle Edition. What a thought provoking article. In the aftermath of what happened in Florida, the truth you speak in this post is verified. All the talk is about banning things and nobody wants to acknowledge the truth. I had a discussion with a former Seminary Prof and her friends who could not accept that the violence in this country and around the world will continue until we address the violence in our own hearts. Sadly, I would have done better to talk to stones about this. Dearest Father, your blessing. Your thought provoking article reminded me of another famous quote by Dostoyevsky, the protagonist’ famous nightmare in Crime and Punishment: ““He was in the hospital from the middle of Lent till after Easter. When he was better, he remembered the dreams he had had while he was feverish and delirious. He dreamt that the whole world was condemned to a terrible new strange plague that had come to Europe from the depths of Asia. All were to be destroyed except a very few chosen. Some new sorts of microbes were attacking the bodies of men, but these microbes were endowed with intelligence and will. Men attacked by them became at once mad and furious. But never had men considered themselves so intellectual and so completely in possession of the truth as these sufferers, never had they considered their decisions, their scientific conclusions, their moral convictions so infallible. ..” Yes, “today we are angry about everything”, and we are so confident our moral convictions are infallible! Lord have mercy! Instead of the “reality of the heart,” I realize how much I live in an ideological world. By which I mean, a world that is divided by competing agendas, in which the worthiness of anything is justified by whether it advances the right agenda or helps to destroy the wrong agenda. Primary loyalty is to a political party, but I think that even the political party is seen as mobilized by something yet more abstract and conceptual, like some idea about the world. That is why it is ideological. Our loyalties are to ideas. I think it used to be democracy-communism that divided the world, but even that division had SOME bearing on actual concrete relations. And I guess the big thing I’ve learned is that it does not matter how much I know this (I’ve read this blog for some time now!). There are habits of the heart that can’t be overturned by learning ideas. It is like someone who decides that they realize how bad sugar is, and having decided to realize that, assume that they no longer have the appetite for sugar. But the smallest amount of stress, and they easily make up for all their abstinence and in fact are probably worse off than before. I have always made resolutions; I am only now starting to realize that they can never substitute for repentance. It struck me that Zosima’s assertion on the cosmic dimensions of repentance –of the personal guilt of ‘me’ (for all people and for each person on this earth)– is an apt underpinning to the Jesus prayer’s use of the singular, “have mercy on me a sinner”, on how it needn’t (and even shouldn’t according to certain Saints such as Porphyrios) change wording to “us”, in order for one person to pray both personally, and for the ‘entirety of all Adam’. Thank you Fr. Freeman for posting this article. It is so painfully humbling. Wonderfully written, Father. Many thanks! Father, you write, “Everything we see (or imagine we see) in those we judge is present within our own heart. It is only when we know that this is true that repentance can begin and the battle turn towards God’s favor.” I would be grateful for any counsel you can offer on how one gains this knowledge that makes repentance possible. reminded me of something Fr. Maximos Constas said during the wonderful retreat he gave last weekend. He said that only in the Church we learn to see things “rightly”, because everything is transformed into its proper from in the Church and, most importantly, we are transformed. He gave an example of how the scenes of the martyrdom are depicted. The icons always portray the faces of the martyrs as calm and peaceful (and we would expect that). But more surprisingly and importantly, the faces of the tormentors are also depicted rather neutral and calm (for sure they are not angry, or grotesque, or ugly). The only difference is the lack of a halo. That is because the Church recognizes the Image of God in everybody, and teaches us to do the same. Jay – You wrote, “There are habits of the heart that can’t be overturned by learning ideas.” Amen to that. It reminds of the time, some years ago, when someone told me that finding God is not an intellectual achievement. That hit me like a bolt of lightening. In retrospect it occurs to me that it was an important step on my journey to Orthodoxy, although I had no inkling of that at the time. A modern expression of our recognition of this spiritual dynamic is what psychology has termed “projection.” This is also expressed in cruder colloquial terms in the well known retort, “Takes one to know one!” The latter comeback is a perpetual perpetuation if the problem here described if ever there was one! We seem to prefer going through the world one-eyed and toothless, rather than concede the problem within. May God indeed grant us a spirit of repentance to break this vicious cycle. The stanza of St. Ephraim’s Lenten prayer that always hits me the most is: “Let me look at my own sins, and refrain from judging others.” I always add: “from judging others in any way, at any time, for any reason.” Comparisons are odious and poisonous because there is no easier way to hide from the evils in our own heart than by using comparatives such as better, worse, or believing that “I would never ever say/do/believe/act like …..” I know that if God isn’t on my side because I am acknowledging the deeply rooted evils in my heart, I haven’t got a prayer – or a snowball’s chance in hell of finally being healed from mortality, the last and greatest enemy. It’s interesting that St. Ephrem prays, “Grant me to see my own transgressions.”Seeing the truth of ourselves is a gift of grace – one that I think is given to us in measure as we can bear it. I take it as a matter of faith, first, that the sin of the other dwells in me. Finding it is a journey into the hell of shame…as we can bear it. A little at a time. But that is where we look. St Nicholas of Zica writes in his Prayer for one’s enemies: “Enemies have taught me to know what hardly anyone knows, that a person has no enemies in the world except himself”. This is not easy to fathom, but I think your post further elucidates. This is lovely. I so need to hear this. Thank you. Your comment to Reid: “…given to us in measure as we can bear it” and “Finding it is a journey into the hell of shame….” is so true. I pray for repentance, with complete awareness that’s it’s the only thing i need for God’s grace, yet am terrified even thinking about the actual moment of repentance. Keep me in your prayers Father. Wonderful comments Dino. Your knowledge of the Saints and humility/piety speak to my heart. I am sure I comment more than I should. But, here goes. A person posted last week that when he was a Protestant someone flabbergasted him by saying, “You can’t know God through your intellect.” And today we honor St. Palamas, that great defender of coming to know God through His uncreated energies/grace. Our intellect is a gift from God, to be sure. Yet I could read about Him constantly and never know Him. Even the Scripture is not God however much it may point us to Him. St. Paul writes of ever learning but never coming to a knowledge of the truth. Even our Lord Jesus says, “You search the scriptures but you won’t come to me.” St. Theophan the Recluse writes ” if you descend into your heart, you will have no more difficulty; your thoughts will vanish into thin air.” That is where God is met, known, in the heart/nous, an experiential reality, a way of knowing that can never be achieved through mere thoughts about God. Our thoughts must cease…still this only comes and goes with me. Of course, God is also known and experienced in the sacraments. And no knowledge of Him occurs without obedience to His commandments. I write this while still just beginning, at least I feel this way, in the spiritual life….old man that I am. Yet God is faithful. He takes our yearnings and childlike faith and meets us there in the midst. St. Theophan’s ” if you descend into your heart, you will have no more difficulty; your thoughts will vanish into thin air” is very apt – the Gospel reading of Saint Palamas’ Sunday (today) is in fact about the descent of the paralytic (the nous) into the heart of the house where Jesus is, and where he becomes healed. I think that simply stating “decision” might be misleading, forgive me. To an American ear, a decision is basically something of the will, one of the many choices we make. As consumers these are very light things that actually barely engage the will in the true sense. Much contemporary Christian literature (cultural Christianity) has popularized “making a decision for Christ,” but this does not rise to the level of what is being described in St. Mary or in the teaching of the elders. The “decision” they reference is a very profound engagement of the will – with an irrevocable character – and the force of the whole person. It is a complete surrendering of the whole self. It is indeed partly understood as “loyalty.” It is an irrevocable “choosing of sides” no matter what it costs or what may come. This is indeed powerful – but quite rare. I think it is quite rare because the integrity of soul required for it is generally lacking. St. Maximus the Confessor once said that if a person so willed it, they could be perfected in a day. But this is a reference to the true power of the will – but not what we generally experience as “the will.” It’s far greater. St. Mary of Egypt is an example of such an irrevocable self-offering – that is simply astounding in its depth and the force of its resolve. It was also a matter of singular grace – the cause of which is known to God alone. For us, the journey often consists in the patient movement towards such a place, through the healing of the heart/soul. Thank you very much for this much needed clarification Father. I certainly see the potential for easy misunderstanding of the term ‘decision’. Irrevocability is something that would normally escape modern consumerist ‘choice thinking’. 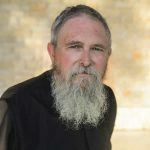 Fr Aimilianos expounded on this very irrevocability -as an eternal commitment/resolve unto death- that is also what transforms not just monastic vows, but marriage too, into the sacrament these are – it is what makes both of these (not just monasticism) suddenly have nothing to do with this passing world and everything to do with the permanence of the eschata. Also, I have heard it said that, God cannot really allow great testing, until such an eternal pledge occurs from a believer (as a person could simply change their context rather than their self in the face of God’s ‘tempting’), nor –although this notion has its problems,– can He allow great Grace before the monastic vows or matrimony (as a person would be naturally pushed towards the consecrated life by this too). Wise words, Father. Thank you for that last comment (and many others). For most of us, we hope and pray for what increasingly may with the help of God become “a long obedience in the same (Godward) direction”, inching our way painstakingly feeling for hand or footholds up what often feels like a sheer cliff face ascent against the forces of the world, flesh and the devil. Frequently, we find ourselves falling once more, and if it weren’t for the Lord’s rescuing balay rope, would have no hope of making it home to safety at all. Thank you all for your comments. Very helpful. Dino, could you explain a bit more your last point: “Also, I have heard it said that, God cannot really allow great testing, until such an eternal pledge occurs from a believer (as a person could simply change their context rather than their self in the face of God’s ‘tempting’), nor –although this notion has its problems,– can He allow great Grace before the monastic vows or matrimony (as a person would be naturally pushed towards the consecrated life by this too).” Especially, “as a person could simply change their context rather than their self in the face of God’s ‘tempting’”. Thank you all for your comments. To an American ear, a decision is basically something of the will, one of the many choices we make. As consumers these are very light things that actually barely engage the will in the true sense. I couldn’t help thinking how much this “decision” was simply lining up her church with her will. There was no self-offering involved; it was the very essence of consumer shopping. Sadly, decision implies in an American mind choice. Many Americans treat faith as if it were a Smorgasbord, deciding/choosing what they will take from under the sneeze shield. People pick and choose their articles of faith based on their preferences and they choose their churches the same way. The concept of obedience to the Church is an alien thought as the church of choice must conform to the self will. When I was a Protestant Pastor I noticed that 90% of our congregation came and went in a yearly cycle. The only people who remained were the power brokers that established the church, funded it and controlled it. The rest drifted on to other churches, sometimes returning for a spell before drifting on. It seems that the most difficult, and yet the most critical, “decision” we can make in life is to be obedient… I think that’s what Dino means when he says everything is easy when we make that decision…. You are correct and it is particularly hard for those of us raised under the influence of the Modern Project. We have been programmed all our lives to be Self interested and informed. Obedience is only to our own will. Surrendering that is the hardest task we have on the difficult path that leads to salvation. After this monster is conquered, the rest is easy. I think Father summed it best as: a most profound engagement of the will of an irrevocable character. The continued embracement of the Cross, or the abiding “choice/decision” to deny oneself (Matthew 16:24). The once-and-for-all “choosing of sides”-no-matter-what, of the giants of the spirit, might fill most with trepidation, but the daily renewal of our resolve is certainly accessible to everybody. May God grant us that “daily renewal of our resolve” for the rest of this Holy Fast, and for the rest of our lives. Like any journey, the road to salvation is traveled one step at a time. Years ago in Basic Survival School in the USAF we were dropped out in the wilderness in deep snow and directed to proceed to a checkpoint. It required climbing a long ridge line on a very steep sloop. The man I was paired with wanted to give up and be left to die because the ridge line was too long. He asked me how I could keep going considering the task was so great. I answered him saying that what he needed to do was to copy me, all I thought about was the next step. I did not look up at the enormity of the task but at the simplicity of one step. After an hour, we reached the summit of the ridge and the rest was down hill. I apply this to all situations in life and to my salvation. If I focus on the enormity of salvation and all that is required, I would probably give up, but I can focus on one step at a time, like it is time for 6th Hour prayers, it is the next step. Thank you, a really great story and so applicable to spiritual life. What I like most about it is the idea that each step is small and it keeps us small. Your comments, Nicholas and Agata, speak to me of God’s wisdom in sending the 70 out “two by two”. People differ in capability. Soldiers follow their leaders, those who have been “proven”. We follow Christ, as our “Leader” and also look to those “proven” in the faith for guidance as well. Also reminds me of King Solomon’s ‘two are better than one’ . Indeed! what makes those giants of the spirit giants is one thing: they have decided death upon themselves. Nothing is stronger than this and the adversary is prepared to offer you the whole world than to let you even find out. It tramples upon all his power and is the “keeping of mind in hell but despairing not” that is clearly not the royal road. Those giants rushed with such irrevocable ardour to the cross..!. We can learn from that to cater for that fire which makes the struggle so effortlessly easy. Otherwise we have the fearful “arduous interpretation” of the spiritual struggle come and posses us. But without a taste of the fire this is not possible to escape. Yet we need this spirit of the fervent martyrs. That’s why we need to find what I referred to earlier as firewood. Even if still small this fire is the sustenance of fearless faith that wins over pauperly fear-filled reason. For what it’s worth…I have sometimes said that when reading Greek hagiography (lives of saints), I “divide by 10.” I mean that the cultural expression of spiritual matters in the Greek world tend to have an edge and an extreme not always found across other parts of the Orthodox world. This is particularly true of Anglo-American culture. I’ve noticed this over the years – and is not something that troubles me – but something that I know must be translated into forms that a culture can absorb. My own journey into the Orthodox faith came through Russian sources. Those sources, in my experience, were stated in a more measured manner with a tendency to emphasize struggle and hardship. Individuals differ, even within cultures. I think I would have been repelled by many things that I now “translate” and been very wary of what seemed like language that lacked sobriety. My personal experience had included several years within the charismatic movement (living in a commune). I longed for stability and sobriety after the excesses of that world. Indeed, those excesses, if continued, would have driven me to unbelief. It is good to be “multi-lingual” in Orthodox reading – hearing the variety of voices within the Church – but it is good not to be dismayed if an expression feels hard to digest. I am reminded that the saying, “Keep your mind in hell and despair not,” was said, by the Elder Sophrony, to be fulfilled by “Give thanks always and for all things.” Both are true and mean the same thing – but both are not as easily digested. Thank you Fr. Stephen for your measured response on differing ways cultures interpret Orthodoxy. I particularly think of mothers here in the U.S. who are raising several children in our culture surrounded as we are by the odious nature of modernity and its constant, in your face, distractions. They have their own podvig. God bless and care especially for you young moms! I admit that what is already scandalous (as a notion) in Greek – the original language – is quite a challenge to put into another tongue. Please let me know more specifically if possible, though I’ll try breaking down some of this further here for you (and for Orthodox City Hermit). First remember that the key notion is that of spiritual fire (Luke 12:49), that fire which Christ cast on the earth; When this becomes great, it produces giants of the spirit. But to understand this rightly, we must remember that what this fire is, (ultimately) is an all-consuming yearning for martyrdom. This is -and always has been- authentic Christianity [to die (as a martyr) for Christ]. And the more steadfast one’s decision towards this, (even when there is no physical persecution around us) the more effortless all spiritual struggles/podvig then become… It turns mountains into molehills, while without it, molehills become mountains in the spiritual life. When St Ignatius, for instance, cries out that he is “in love with suffering” (torture, and martyric death), and is only worried that he does not “deserve such an exalted honour”, is this not pure ardour to be consumed by the beasts and to die for Christ in order to be truly born into life? He makes this as explicitly clear as can be if you read his letter to Romans prior to be martyred. But even when St Silouan says “I will die here for my sins”, merely in order to fight off and block once and for all the thoughts of the devil trying to lead him out of the monastery, even this is part and parcel of the same spirit. Having decided ‘death’ (hell/hades in Sophrony’s writings) upon themselves, these giants become invincible, as there is nothing stronger their enemy has in his power against them. Is not our faith is that ‘death is trampled by death’.? Secular reasoning interprets such words and deeds as foolishness; fear invariably follows it, it understands that they go against basic survival instincts and that all rational thoughts that spring up at the face of torture and death are dissonant to such bravery. But the fiery zeal of pure faith knows no such fear, it knows only that (with God) we can walk on water and burning coals and trample snakes without being harmed. But it is only through such an inebriation of ardent love-to-be-martyred for the One who was martyred for us first, that the knowledge that “to die is gain” (Philipians 1:21), and the “desire to depart, and to be with Christ” (Philipians 1:23) can ever even start to be understood. Correction: Is not our faith *that ‘death is trampled by death‘…? I am left awed and enriched by all of the wisdom and comments shared. Thank you all. Forgiveness is a way we can love others. Being kind, when it is not deserved or appreciated, and forgiving both others who harm you and yourself for allowing it – lets us share in the human condition and offer it up to God. Facing my own sins and my need to repent is not easy. It reminds me of the “one step at a time” concept you shared. Forgiving others, instead of holding onto to anger, hate, and wrongs done against me – was a very big step for me. It required me to let go of the anger I thought I had to hold onto or they “got away with it”. How quickly those wrongs can mount up too. Soon I felt so much anger and hate that I could not hold it all. That is when I really realized the value of Romans 12, and the need to forgive everyone for everything. Including myself. I could not ask forgiveness from God if I was unwilling to forgive. I learned it was not for the person who had wronged me at all, but for me – to free me from the pain, anger, and hurt I was carrying. That is what God offers us – that kind of freedom from being judged and condemned – by repenting and asking for His forgiveness. Lent, for me, is a special time for more introspection and really repenting so many things I need to deal with. It is a time of cleansing for the soul thru confession and prayer. I love the prayer of St Ephron. Blessings to all of you for sharing so much with all of us. Maybe this is because the Orthodoxy I grew up in was (and it is my personal experience) rather superficial and sentimental. A good word in Russian is “dushoschipatielny” (if I am spelling it somewhat right for the Russian speakers). My father used this word and it was not a compliment. Maybe the Greeks have an equivalent, maybe not, there seem to be some major “character differences” between the two traditions that don’t overlap. I think that if I have remained in that environment, I would have been driven to unbelief (similarly to how for Father Stephen, the excesses of the charismatic movement were a danger and discouragement, being something totally opposed to sentimentality [if I understand right], I don’t know enough about it to comment). The Saints present some of their saying in the form that seems difficult (like “Keep your mind in hell and despair not”), but they are only hard when we again take them on superficial level. Their deep meaning is so profound and meaningful. And something applicable to our lives so directly. When we have the right understanding of the Cross, of our own death, of God’s supreme Love for us all, our life can be completely transformed. So to learn how to light those small fires (maybe following some examples of those “giants of the spirit”) is priceless. I thank God for such comments that deliver 100% content, even if I can only assimilate 1%. And Father, I like your “divide by 10” technique, except for me, that is a bit dangerous, I am already too good at excusing myself on my own. Noted. In my pastoral experience, which is largely convert-oriented, I spend more time trying to help people process what they read, not be discouraged and to be settled-in for the long-run. I’ll admit that I don’t target my writing (or comments) towards the complacent. The internet is frequently filled with extreme accounts and bold pronouncements (Orthodox-wise). But they ring hollow since they are largely made by those who do not practice what they post. This, I know, is not at all the case with Dino – and I value his consistent contribution. My rather measured and sober suggestions reflect my own meager reality. Thank you Dino for taking the time to analyse your reflections. I think I now understand better your point. English is not my mother tongue and sometimes it gets very difficult to understand or express properly my mind. Thank you all for sharing so much with all of us. They are recorded as fairly widespread. The Middle East was home to very many in the early years. But they are known all over. Thank you, I appreciate your kind reception of what I wrote. That “The internet is frequently filled with extreme accounts and bold pronouncements (Orthodox-wise). But they ring hollow since they are largely made by those who do not practice what they post.” is the other side of the same coin (of distortion), just as dangerous. Believe me, I have seen much of that also in my earlier experiences (more from the sermons back then). Except for your blog, I don’t read much Orthodox commentaries on the internet. I feel like your work most follows in the (in America) footsteps of Fr. Tom Hopko, and for that I am so grateful. May the Lord bless you richly for your wonderful work! With reference to your comment regarding understanding Dino’s comments. The fact is that this stuff is not easy. As Dino pointed out, ”I admit that what is already scandalous (as a notion) in Greek – the original language – is quite a challenge to put into another tongue”, in our case english. I think it is especially difficult in our current society, it’s the opposite of the world we live in so to doesn’t make sense from that perspective. I think also that one has to be in a place in their life to accept and understand what’s being said. There are things I’ve read in the past that didn’t make sense to me at the time and I gave up on, but going back to them now, make perfect sense and are very meaningful and helpful to me. That was quite helpful. Thanks. With regard to the specifics of my difficulties—it really was just a language barrier. The expression “royal road” I have only heard used as a reference to the way of kenotic self-giving love of one’s neighbor—clearly not the sense in which you were using it. “Cater to the fire” didn’t quite compute. Same with “pauperly fear-filled reason.” “Pauperly” as far as I know just isn’t a real word in English. Either that, or it’s so old fashioned it’s not commonly used. What you are saying is basically what I understand by the Lord’s command to count the cost, deny self, take up our cross and follow Christ—and the Fathers’ talk of taking the Kingdom “by violence” and so forth. I agree with Agata. All of the hagiographies are beautiful, but it takes quite a bit of work to make the translation into language that can clearly give the equivalent sense in our native tongue for many, many reasons, and some have more difficulty with this than others even for reasons having nothing to do with not wanting to hear how radical the call to follow Christ really is (though I do agree this is a factor for all of us). I’ve learned a foreign language and lived in other cultures during my formative years where a foreign language or very different English dialects were spoken in which I had to gain fluency, so I have an easier time making cross-cultural translations than many, but it can be work even for me. Alexis, very true. That is my experience as well regarding readiness to understand changing over time. The Lord works with us in stages and steps, both in our practice and in our understanding of the language of the Tradition. inevitably some of this terminology requires (like all specialist subjects) some learning. BTW, ‘royal road’ I had explained in an earlier comment as the ‘golden mean’, the path that does not go to any extremes this way or that. Dino, now that you point that out, I do remember your defining royal road. I forgot and didn’t make the connection (obviously). 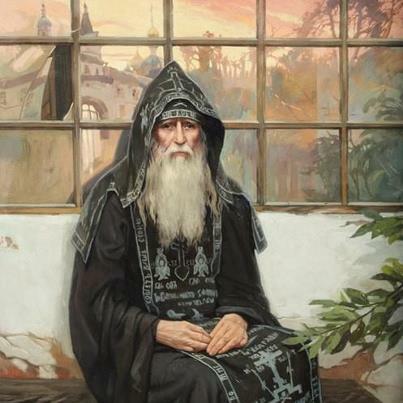 Just to make things even more complicated, there is another patristic context in which not going to extremes (in ascetic practice) is a virtue in that we must learn not to take upon ourselves—in our delusion and arrogance—disciplines that are greater than the grace (and obedience) we have been given from the Lord. There is the danger of being puffed up and fueled by delusional pride on the one hand or dashed to despondency by our failure to live up to our own prideful expectations on the other. This is where the role of the oversight of a spiritual father (or mother) comes in. Great quote from St. Isaac. Thanks! Thank you for your comment. I agree wholeheartedly, that we accept and find certain teachings more useful/meaningful/helpful according to our life’s situation and timing. No. It is only within a genuine humble acceptance of our weakness and of wvwrything as it is, as well as the acceptance of God’s infinite might, that the fire of the martyrs can live. In my military experience I have found that real bravery does not boast and the ones who are brave would never say that they were (humility) and are most likely experiencing fear. What makes them brave is that they continue to just do the job they were sent to do despite their fear. So very true! Such true humility and bravery are the most beautiful thing on the face of the earth—that through which the face of our most merciful Savior shines through most clearly and fully! I cannot but throw myself at the feet of this Image prostrate with longing before it to be conformed to such fathomless Beauty, conscious of how often I betray it or how precariously close I am to doing so when the chips are down and the pressure is on. Lord, have mercy on me, sinner that I am! 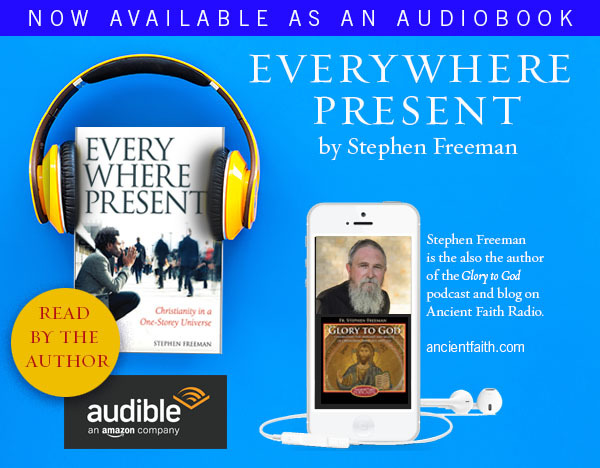 So we could certainly exclaim that: we stop being true Disciples of Christ the moment we forget that the soil in which we get buried is the true doorway to Life Eternal. May the Lord establish this blaze in us.